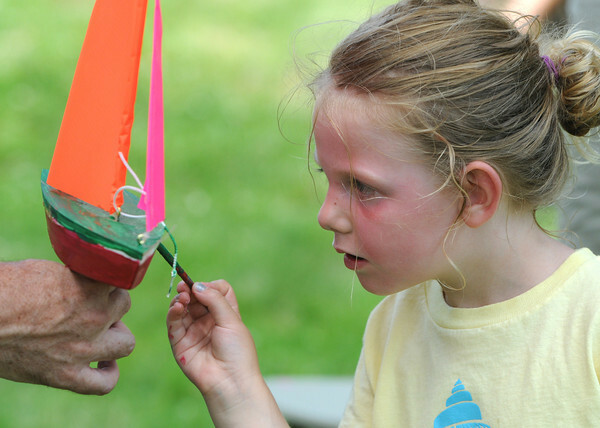 Erin Wilder, 4, of Marblehead, places the last brush strokes on her sailboat outside Abbot Hall during the Marblehead Festival of Arts. The children who made sailboats later sailed them together at Redds Pond. Photo by Ken Yuszkus / Salem News, Friday, July 5, 2013.